"Find Your Life's Passion" will help you unlock your creativity and release emotional blocks that may be holding you back from your dreams. 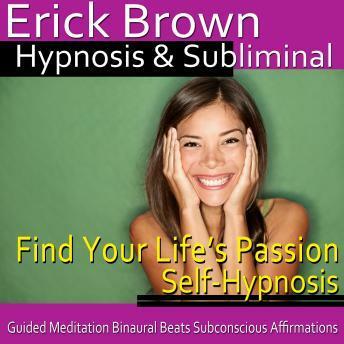 Subliminal suggestions for deep relaxation and positive change will be received by your subconscious, deepening your determination, releasing self-defeating thoughts, and increasing self-confidence. Don't wait another day. Find your life's passion and start living the life you've dreamed of today!